Each year, the Winston-Salem Journal’s Readers’ Choice contest gives readers the opportunity to vote for the area businesses they feel are the best at providing services or products in their community. 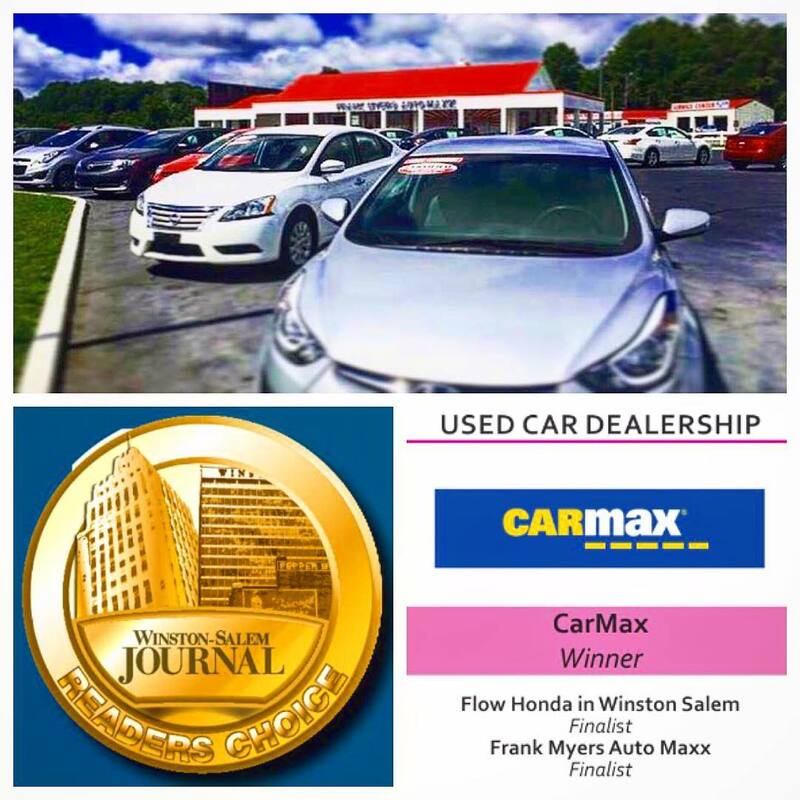 This year, the people of Winston-Salem have spoken, and we at Frank Myers Auto Maxx are incredibly honored to be named a finalist in the used car dealer category for 2018. With a legacy of 90 years in the automotive business, Frank Myers Auto Maxx’s unique approach to automotive retailing allows our team to exceed expectations when it comes to sales and customer service. While known for our flamboyant style, our commitment to helping Winston-Salem shoppers find the perfect used vehicle has proven our methods successful with a number of automotive awards. In 2010, Frank Myers Auto Maxx was named the number one small business in North Carolina by Business Leader magazine, and has only continued to grow in 2011 with being named one of the Top 27 car dealerships in the United States for the fifth consecutive year by Auto Dealer Monthly. Frank Myers Auto Maxx is also proud to be one of only 20 dealers in the United States to receive the Nations Premier Independent Dealer Award and has received an A+ Better Business Bureau rating. What keeps car buyers consistently coming back to our used car dealer is our friendly, no-pressure sales team and dedicated staff that makes car buying simple and easy. Are you ready to experience the difference at Frank Myers Auto Maxx? Contact our used car dealer to see first-hand our customer-first philosophy and find the perfect used car to fit your lifestyle and budget. We look forward to seeing you!